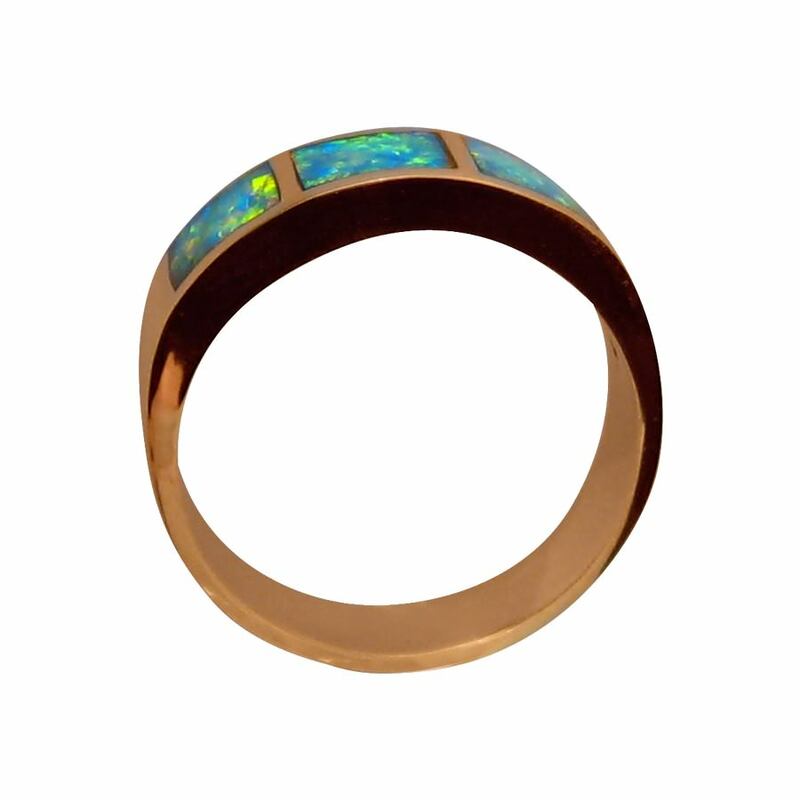 An Opal ring for men in 14k Yellow Gold with three exceptionally bright Opals. In stock and ready to ship. 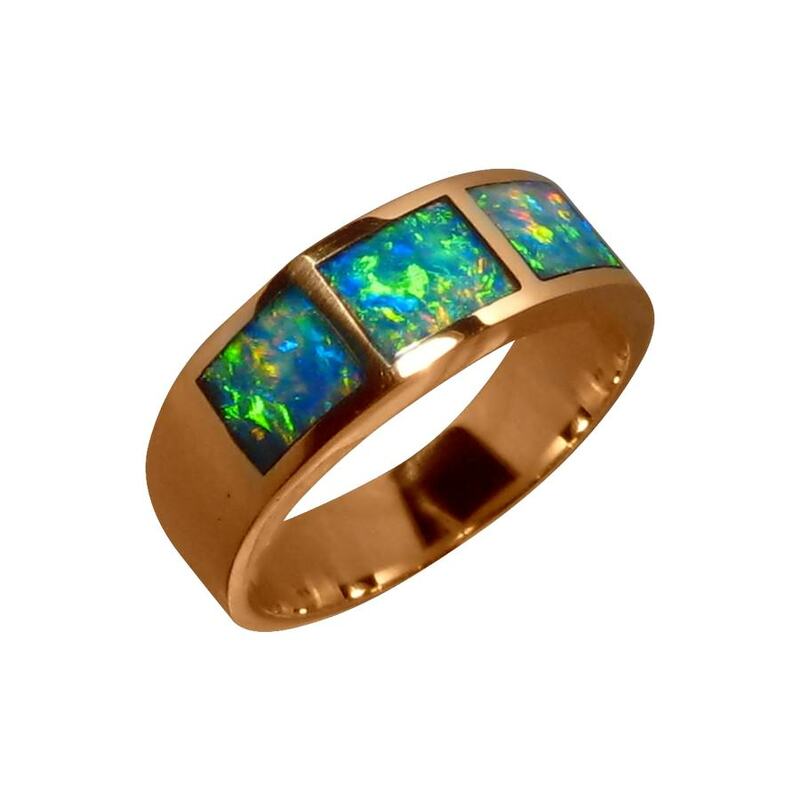 This mens Opal ring has three brilliant gem Opals that show a unique mix of Green, Yellow and Orange. 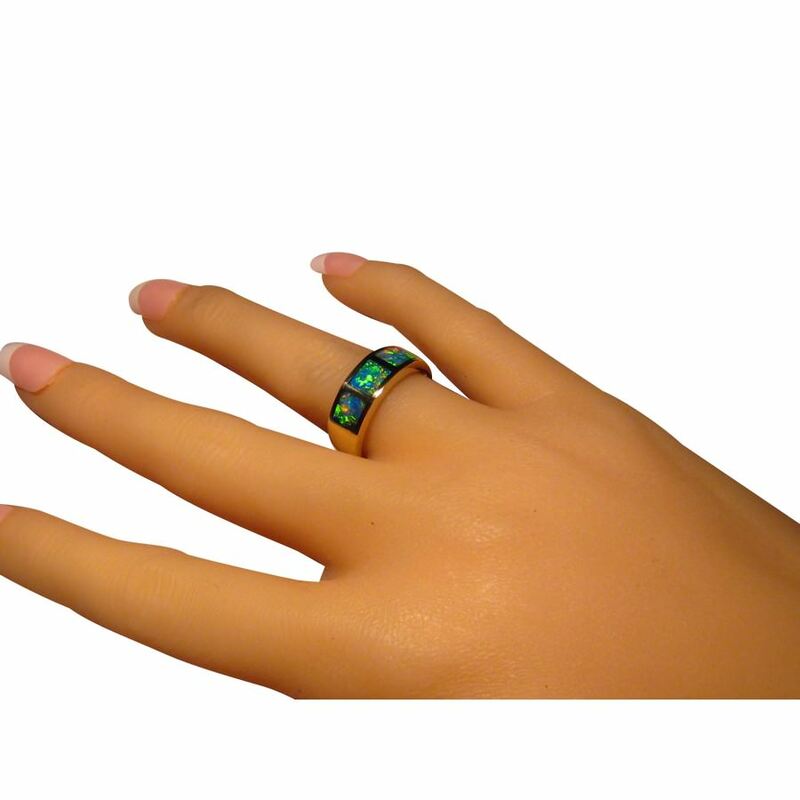 It is a wide band of 14k Yellow Gold measuring 6.7 mm and weighs over 6 grams. 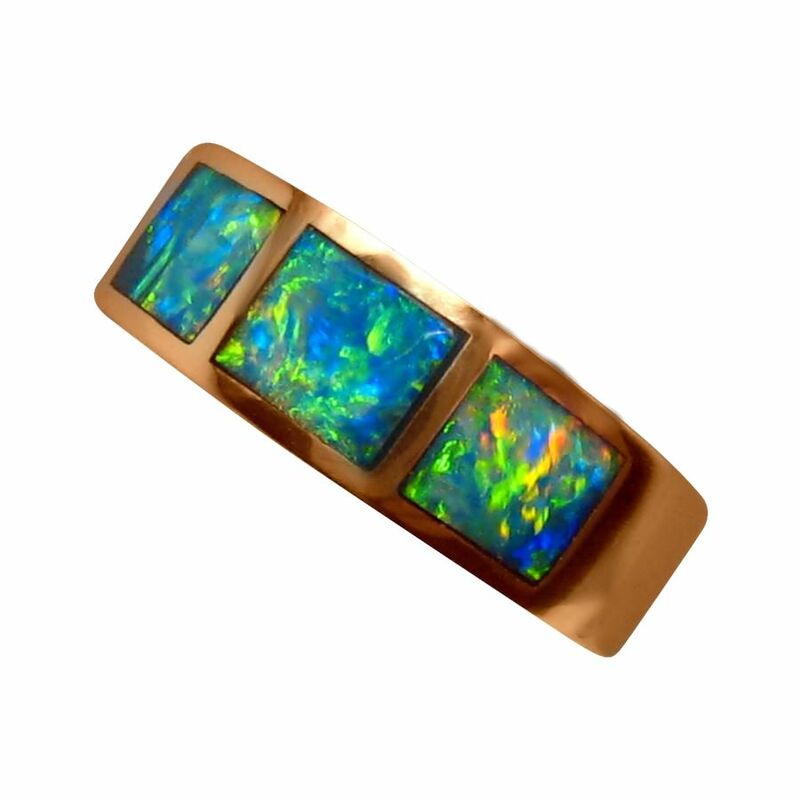 The Opals flash in a mix of Patch and Floral play of color and the video below will show how bright and lively this Opal ring is as well as the high shine of Gold. 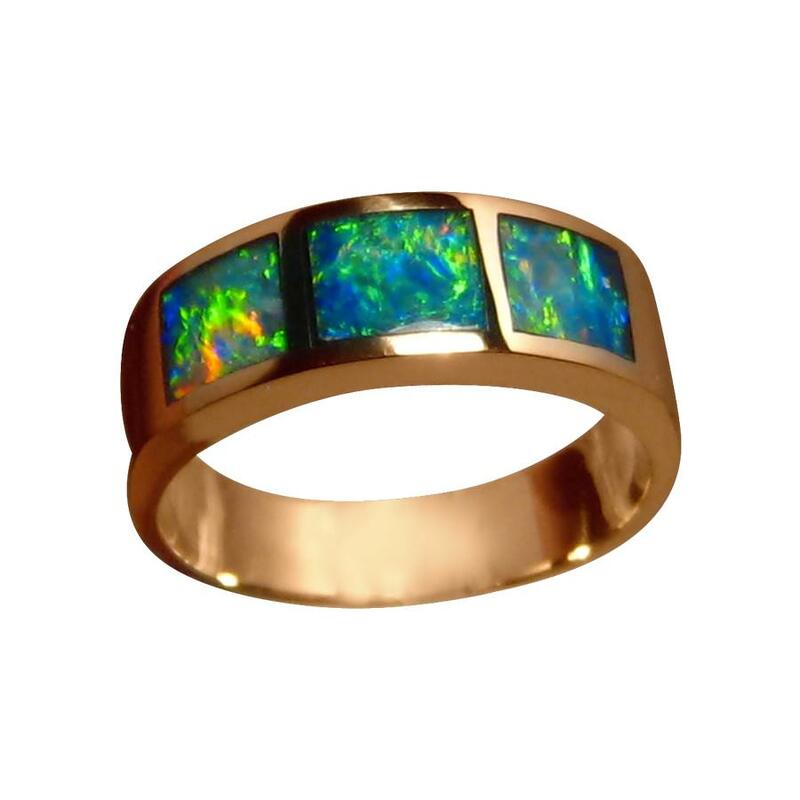 It is ready to ship now as stated below or will take about one week to make if you would like one Made to Order in a different ring size or Gold color. Photos will be provided for your approval to ship. The ring arrived yesterday. I love it and it makes me happy. I want to thank you for the prompt delivery. I read your entire web site and found it to be outstanding and well writen. Just want to wish you a very happy holiday. Great people to buy from. Thanks. 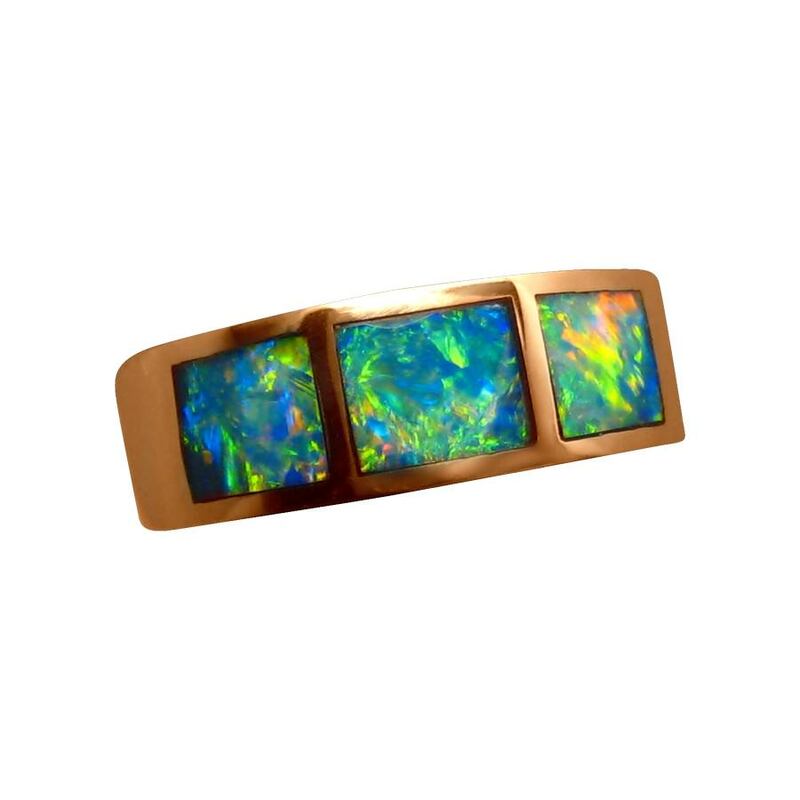 Made by a master jeweler.